The Prime Rib potluck had purple potatoes. The hostess made purple potatoes or maybe they were blue. She roasted yellow and purple fingerling potatoes. I have seen purple potatoes in the store, but not purple fingerlings. I have never had a purple potato. The way they were cooked was incredible—they were perfect. The seasoning was perfect and they way they were cooked was perfect. The purple ones did not taste different from the regular ones. But they were so pretty. I was mesmerized by the deep purple color. There is an idea out there that it is important to eat the color of the rainbow. There is a lot of nutrients in the different colors of fruits and vegetables. Research is proving that there are antioxidants found in the different colors. Anthocyanin is responsible for the purple and blue colors of fruits and vegetables. This particular flavonoid is proving to have anti-cancer and heart-protective effects. Research is also discovering this antioxidant has benefits shown to boost the immune system and protect against age-related memory loss. Potatoes with the darkest color are proving to have almost four times the amount of antioxidants . . . AND they hold up to 75% of their nutrients after being cooked. 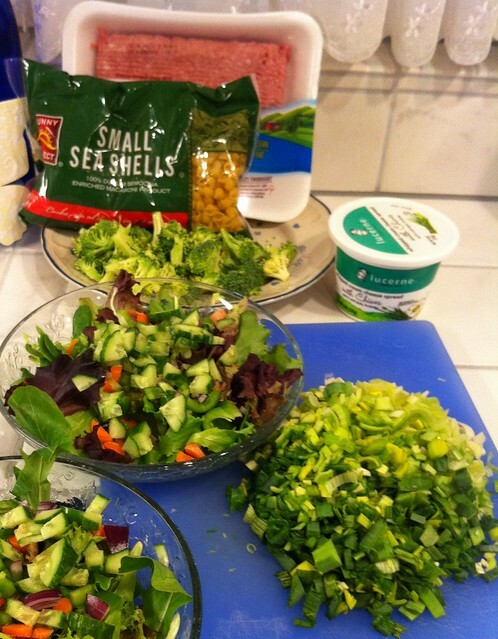 As you know a lot of vegetables lose a large amount of their nutrients when cooked. According to the USDA’s website: “All potatoes are a good source of complex carbohydrates, potassium, vitamin C, folic acid, and iron.” So with the purple variety you would be getting all of that plus the added benefits of antioxidants. PLUS . . . you can’t overlook the beautiful color they add to any plate! 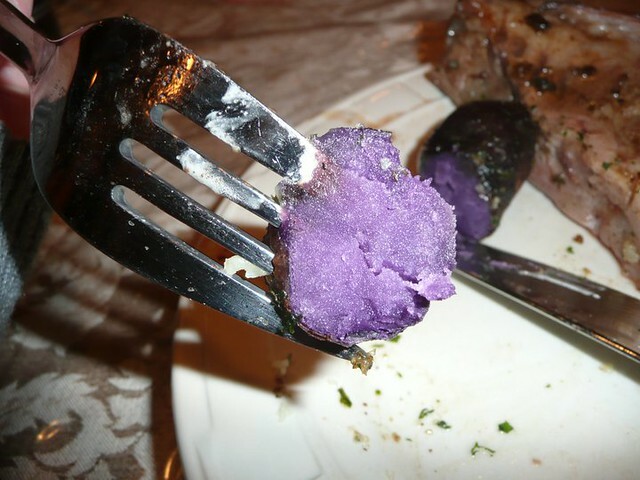 Have you had a purple potato?